Valletta: Old walls give a clear definition of historic towns, reinforcing their identity. Despite the Malta Tourism Authority’s efforts to move away from promotion of the islands as a sand, sun and sea destination, in order to focus more on cultural tourism, much remains to be done. This was one of the key points to come out of a symposium on walled towns, organised recently by the European Walled Towns international association (EWT) and the University of Malta’s Institute for Tourism, Travel and Culture. The deputy CEO of the Malta Tourism Authority, Leslie Vella, argued for walled towns to retain a “symbiotic link” with the walls which embrace them. He explained how walled towns fit into Malta’s overall tourism strategy towards cultural tourism. Historic walled towns run to over 10,000 across Europe, although documentation is sometimes sparse in Eastern and Southern Europe. Sustainable development of walled or fortified historic towns and cities in Europe is promoted by EWT through sharing mutual interests, taking part in projects and applying for European funding to maintain and strengthen these unique sites for future generations. The secretary general of Heritage Europe, Brian Smith, gave a brief history of the network of historic towns across Europe, a Council of Europe initiative started in Strasbourg in 1999. With other partners, Heritage Europe drafted a strategy for tapping into the full potential of heritage by showing its value and impact, which is not just economic but also social and environmental. The final report was presented at Europa Nostra’s 2015 congress in Oslo. This updated approach to historic sites examines how cultural tourism can also enhance and have an impact on society and the ecological environment. One of the environmental pillars of sustainable development of walled towns includes ‘embedded’ energy held within old structures where it makes more sense to retain and reuse them than to pull them down or replace them. Culture provides a unique identity, sometimes taken for granted. One of Valletta’s largest open spaces is “littered with monuments” detracting from its historic authenticity, noted a participant at the symposium. Historic towns in Greece, Spain and Italy are struggling amid financial cuts on spending. Yet one success story has been Hungary’s cultural quarter of Zsolnay which evolved out of the European Capital of Culture in 2010, proving to be a catalyst for the southern region around the ancient Roman town of Pécs. A secondary school in Sweden, a country in which the number of early school- leavers is high, has partnered with a museum to get students interested in their own history and heritage. This gave them a stronger sense of self and their own identity, leading to a third of drop-outs returning to their studies. Authentic heritage brings credibility, probity and a better working atmosphere according to Mr Smith: “People like working in historic buildings,” he said, referring to “strong evidence” that creative industries such as IT and design, which can be done anywhere, could lead to civic pride and a better sense of belonging wherever there is investment in the full potential of heritage. In a survey on museums, it was revealed that the main attraction for people visiting historic sites was that “it made them curious”, a valuable quality for anyone to cultivate. Another survey carried out on heritage in Norwich, engaging the business community and the staff of local authorities, has just been completed. Mr Smith described the report on the mediaeval site as “a tale of two cities, vibrant and successful with an underbelly of social problems” – similar to some of Malta’s own examples. Historic towns and cities can be hotspots for complex problems, he said, concluding that this was the context in which challenges had to be met and solutions found. Barcelona was mentioned as one destination where there has been a “huge pushback” on Airbnb-type accommodation with no management. This may be a factor leading to streets full of rubbish bags at all hours in historic areas. 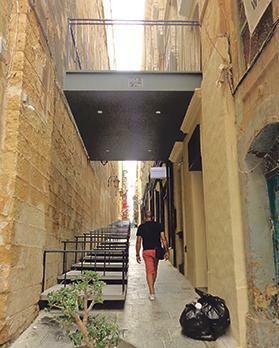 Architect and urban planner John Ebejer, who lectures at the Institute for Tourism, Travel and Culture at Malta’s university, described how old walls give a clear definition of historic towns, reinforcing their identity. The wall acts as a guide so that those who enjoy “getting lost” in the characteristic streets of a walled town never really lose their way. At some point they will come across, and be led by, a surrounding wall or encounter one of the town/city gateways. Often, as with the historic city of Valletta, the shoreline is an equally amenable boundary, making the ‘walkability’ experience more enjoyable. Dr Ebejer added that it is also the views from the streets and ramparts of historic cities which add value to their authenticity. He argued that keen competition between cities across Europe had led to many investing in their public spaces. “Malta is lagging far behind on urban space quality, partly because we do not understand that we are in competition with other cities,” he said. 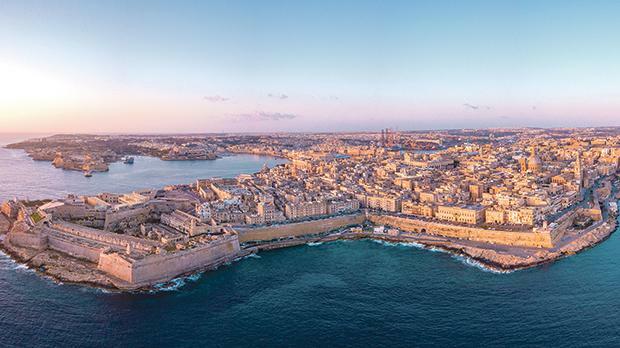 According to EWT president Joseph Spiteri, relaxed local planning laws are having a worrying effect on heritage, with Malta’s “fixation for high buildings mushrooming”. The former mayor of Chicester, Anne Scicluna (of Maltese descent), spoke on the UK town’s historic walls project. A heritage interpreter’s experience of walled towns was presented by Prof. George Cassar. And Dr Marie Avellino, the ITTC’s director, spoke about the tendency of tourism operators to ‘manufacture representation’ of Maltese identity. Architect Norbert Gatt from the Restoration Directorate spoke about extensive works carried out on Malta’s fortifications, to restore them and in some cases to prevent collapse. Although excellent restoration is being carried out on the magnificent fortified settlements of Malta and Gozo, as with many other European sites long-term plans for their sustainable management are still needed.